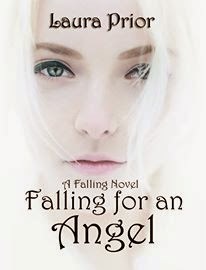 Synopsis: Falling for an Angel: When a mysterious stranger enters Jasmine’s life with tales of Angels and Demons she refuses to listen to his warnings. Having been raised with dishonesty and treachery, she is under no illusion of the realities of human existence. Abandoned by her family and betrayed by her friends, she find this recent twist in her life too much to handle and spirals out of control. Is it possible for two such dissimilar individuals to unite against the evil stalking them? Or will the tension between them explode – leaving catastrophic repercussions? The Falling series itself, follows Jasmine’s story; a woman everyone can relate to. She has weaknesses and flaws and her journey is really a discovery to see if someone is really so flawed, can they overcome them enough to be accepted? Is it really about changing yourself or is it about changing other people’s perceptions of you, letting them see that whatever fate has in store, those perceived weaknesses are actually important aspects of who you are?